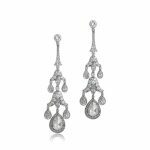 A lovely pair of earrings with a handmade platinum mounting and two antique elongated cushion diamonds with a geometric halo surrounding the center diamond. The center cushion cut diamonds have a combined weight of 0.70 carats. 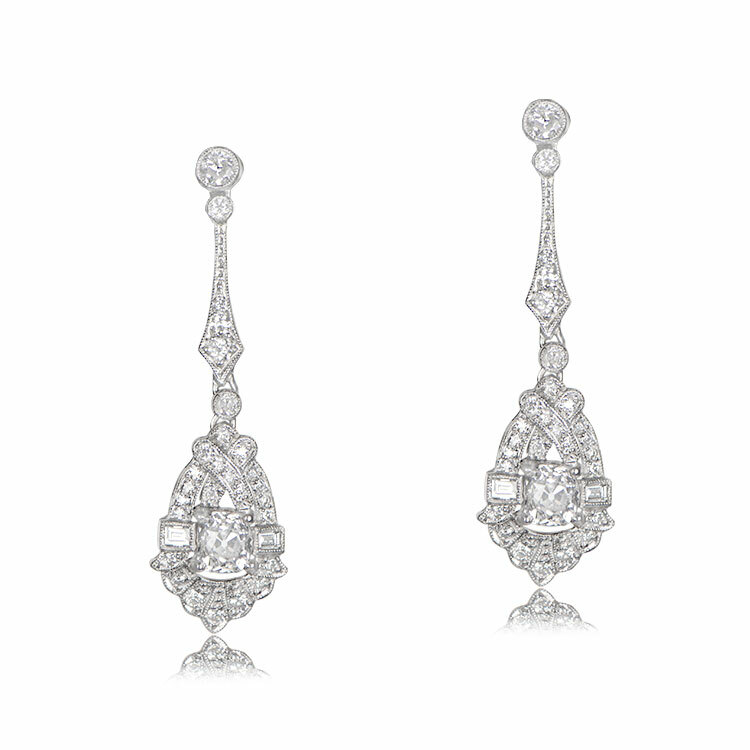 All the other diamonds in the earrings have a combined weight of 1.70 carats. 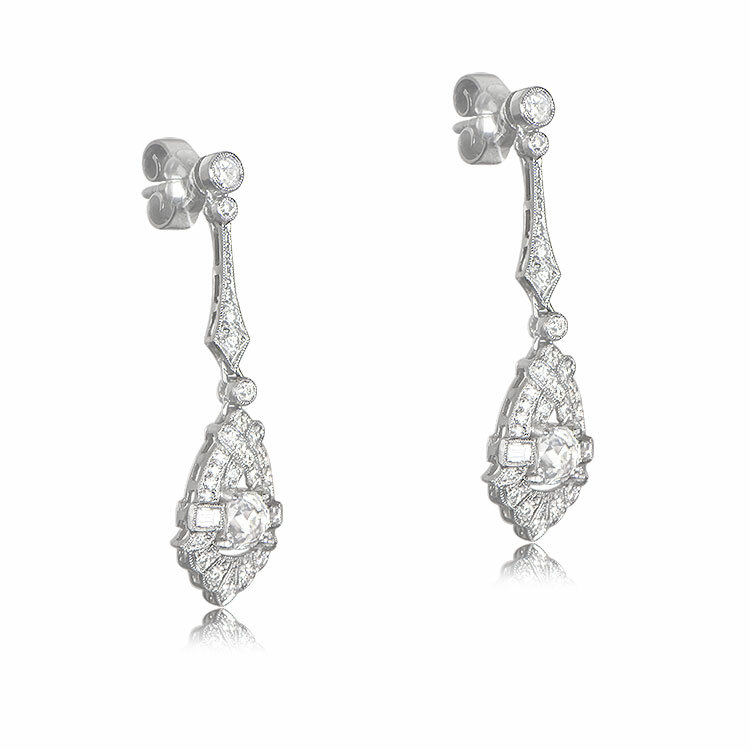 These earrings are reminiscent of the Art Deco Era. These earrings are 1.25 inches long. 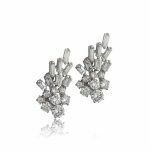 SKU: GS591 Category: Vintage Earrings - Contact us and request additional pictures.